Royal Mail is to issue a special postmark to mark The 2014 Ryder Cup being held at Gleneagles, Scotland from the 23 to 28 September. The postmark will be printed on all stamped and franked mail across the UK from 15 to 29 September. It will say ‘2014 Ryder Cup, Gleneagles Scotland 2014. A special limited edition medal cover has also been produced to commemorate The 2014 Ryder Cup. 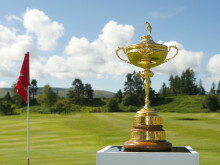 Royal Mail is putting its stamp of success on The 2014 Ryder Cup, by issuing a special postmark to commemorate the event at Gleneagles in September. 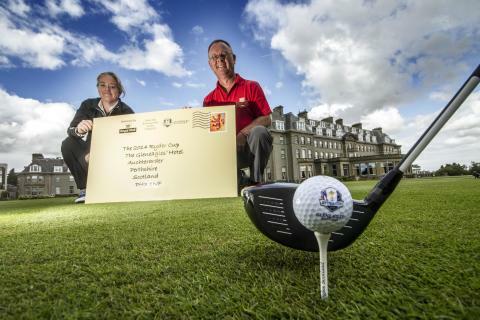 Local postman David Bayne , who has been delivering the mail to Gleneagles for around 18 years, and Antonia Beggs, Operations Director at Ryder Cup Europe, gave a sneak preview of the special postmark at Gleneagles today (27 August). The 2014 Ryder Cup, which is being held from the 23 to 28 September, will be returning to Scotland, the Home of Golf, for only the second time in its history, following the 1973 contest at Muirfield on the outskirts of Edinburgh. The postmark will appear on all stamped and franked mail across the UK from Monday 15 September to Tuesday 29 September. It will say ‘2014 Ryder Cup, Gleneagles Scotland 2014. Royal Mail’s postmarks are reserved for special occasions and are used to recognise significant events, historical anniversaries or support of charity. ”The postmark looks great and we are honoured that Royal Mail has chosen to recognise The 2014 Ryder Cup at Gleneagles in this way. I am sure fans across the country will enjoy seeing it appearing on mail in the run up to the event." A special medal cover has also been produced to commemorate The 2014 Ryder Cup. This stunning limited edition Medal Cover of 10,000 is a must for golfers worldwide. In addition to the specially struck medal by the Royal Mint it contains the Scottish Saltire stamp cancelled with a special postmark in recognition of the fact that this year’s Ryder Cup is being held at Gleneagles and as an acknowledgement to the country that invented the game. The Ryder Cup is a biennial golf event contested by teams representing Europe and the United States, with the host venue alternating between the two. It is the most prestigious team event in golf and one of the world’s most compelling sporting contests. 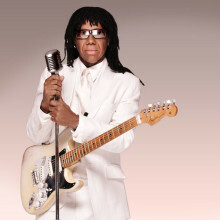 The European and USA Ryder Cup teams will head a showpiece event including top music acts, a full orchestra and Scotland’s major arts bodies to create a truly unique, once in a lifetime concert. Plus, more exciting names still to be announced! 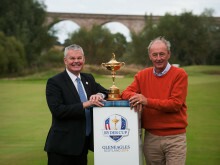 The European and USA Ryder Cup teams will head a showpiece event including top music acts, a full orchestra and Scotland's major arts bodies to create a truly unique. once in a lifetime concert. 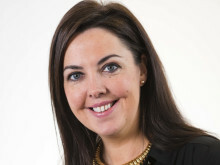 Scottish golf courses, tour operators and hotels are already feeling the benefit of enhanced focus on golf with up to 87% increases in advance bookings. 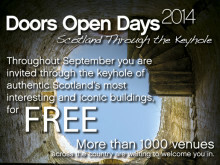 Get the latest updates from across Scotland from our world-class attractions and amazing events! 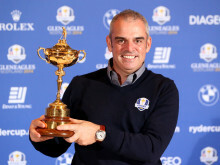 The world-famous Ryder Cup Trophy made a dramatic arrival in the Scottish Borders yesterday as part of the Official Trophy Tour, which is being delivered by VisitScotland and Ryder Cup Europe. 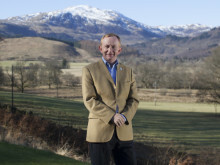 VisitScotland has welcomed the addition of home favourite Stephen Gallacher as well as Ian Poulter and Lee Westwood to the line-up for the European Team at The 2014 Ryder Cup at Gleneagles later this month (23-28 September). 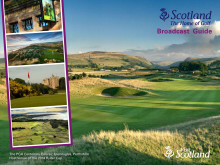 The Ryder Cup Trophy is to visit ‘the four corners of Scotland’ on an Official Trophy Tour which began yesterday. 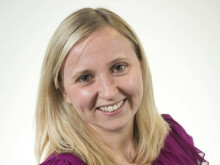 An official Ryder Cup fan zone is to be set up in the Glasgow's Merchant Square next month.